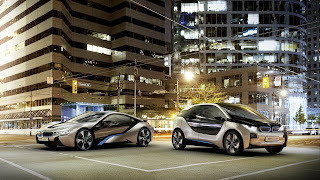 After revealing the i3 and i8 concepts recently, new information has emerged regarding the i sub-brand line-up. According to an insider, two new models are on the drawing board; a two-seater i4 roadster and i5 sedan. The i4 roadster would underpin the i3, while the i4 would be a mid-sized sedan with coupé-esque design that would share the same powertrain as the i8 sports car. A long wheelbase i3, and i8 convertible are on the cards.